Description: Cool 3D PageFlip Themes for 3DPageFlip software help you to create more affecting digital 3D Books with shorter time. You can find stunning 3D sphere images in the eBook demo. Flowers are reproductive portion of any flowering plant (i.e. angiosperm family). Flowers present a multitude of combinations of color, size, form, and anatomical arrangement. These days flowers play a very important role in our daily life to balance our social behavior. Description: 3D Free Lovebirds Themes is with the topic related to lovebirds. The package of the templates includes four sample templates. Every picture is base on the color of dark pink. Vivid hue with lively lovebirds describes such a fine and natural sight. 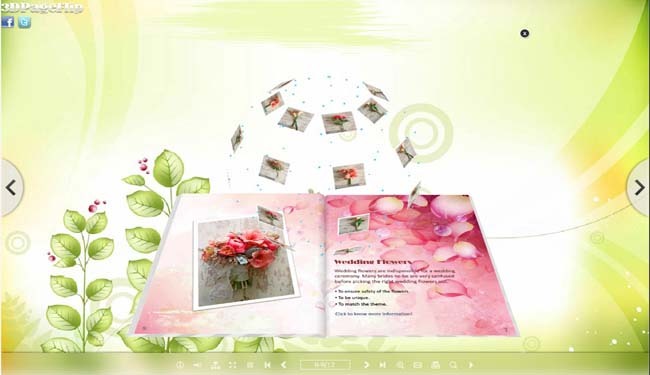 Suppose you want to advertise with a 3D page flip book online and offer your customers the products regard of love, such as couples' clothes or gift for Valentines' Day. 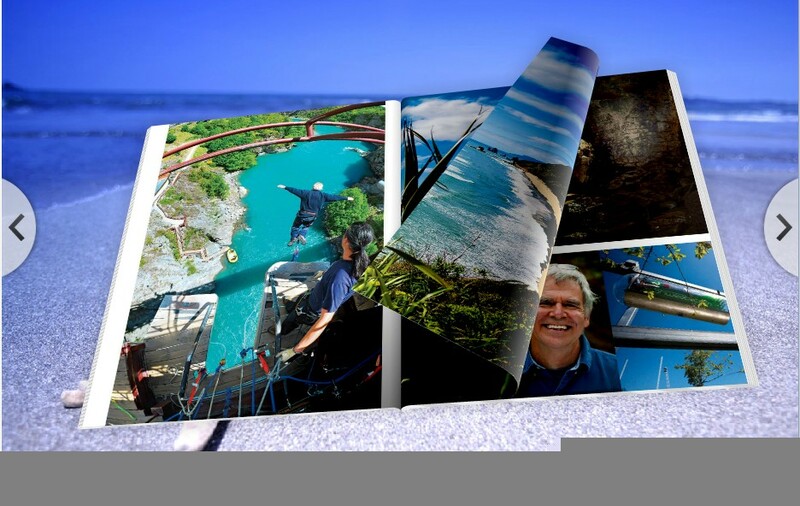 Description: 3DPageFlip Professional is a useful and professional tool that allows you to convert your PDF file to realistic 3D page flip book. It's available for windows system and it can publish online. 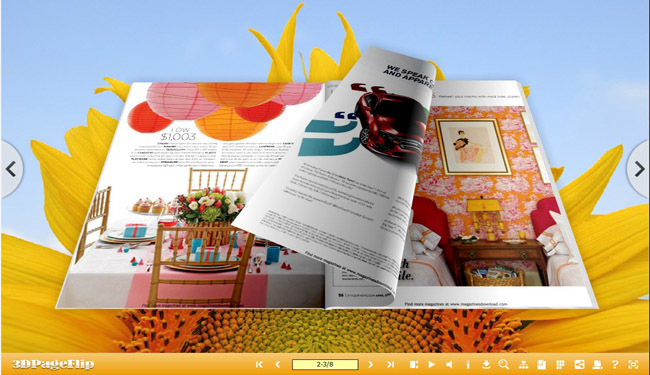 You will be easily create wonderful 3D digital magazines, 3D video catalog, products pamphlet. It is not only a 3D eBook converter, but also an editor. You can add 3D Objects, 3D Image Sphere, link, pictures, flash (swf. 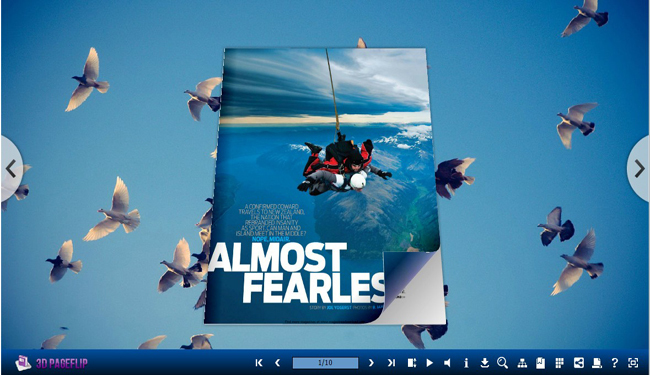 ), even 3D video in each PDF page. 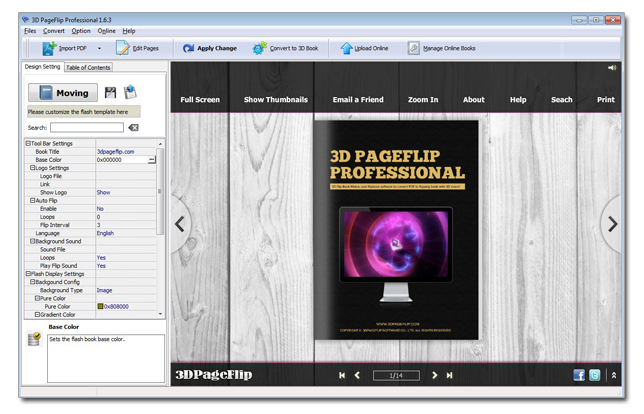 Description: 3D PageFlip Professional Mac is a 3D eBook creator of professional version. 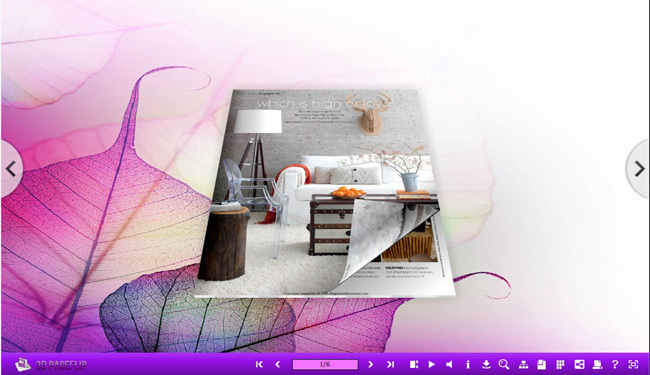 It aims to convert PDF to 3D flipping book with a lot of designing functions on Mac OS X system. 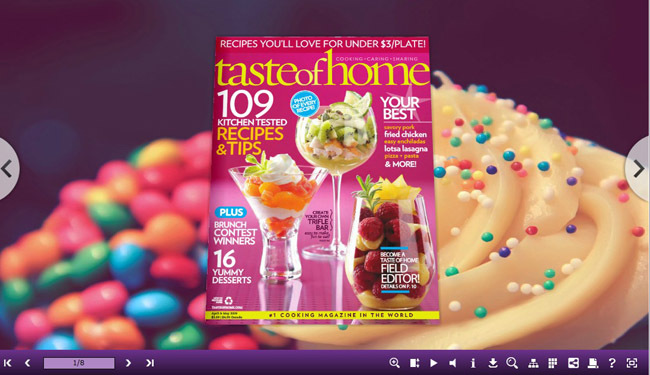 It supports Mac users to publish their personalized 3D Mac eBook online and offline with HTML or app file. 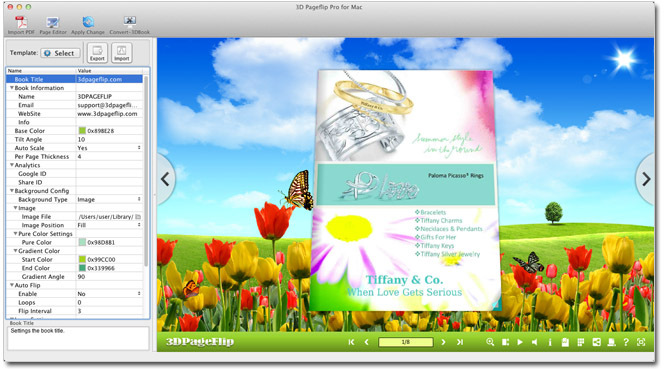 The greatest advantage of 3D PageFlip Professional Mac is its page editing functions, which supports to add 3D objects, 3D video, flash, links, buttons to flip pages.